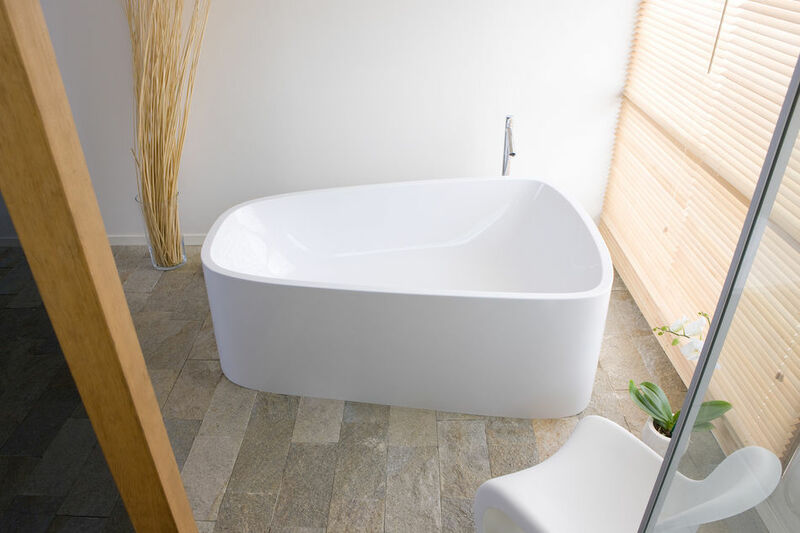 Owing to over standard Internal dimensions and extraordinary shape Duo tub is an excellent bathing place even for two persons. Various arrangement possibilites are as intriguing as its design. SingleBath Duo is available with modern platform and in free standing version with nice-looking decorative blind with genuine wood (walnut or makassar) or slate veneer.